I was glancing through Sea of Shoes’s posts and this caught my eye. I didn’t get it at first though, I merely thought it was just simple random designs to the shoe. But on second look, I realised it was a face!!! Then I found out from her post that this is a D&G pair. Suede face shoes. Haha, how do you like that – faces on your feet! By far my best buys were my Charles and Keith suede black wedges and Zara blue suede shoes. Just prancing in them made me feel so much better during my exams. Just wondering where the hell do I wear them to in Singapore. I just love how my Zara shoes further elongate and calves and create this illusion of really dainty and perfectly shaped feet. My Charles and Keith wedges that cost $49.90. I purchased it when I was stressed studying. This is a proper reason okay, please do not judge me.. I like how the jet black suede material contrasts against my pale skin. This would be a time I applaude CK for making my $49.90 a well-worth one. I never fail to walk into whichever Gripz outlet I pass by and ask the sales girl “Hi, can I have this in size 39, please!” with a silly grin on my face. Sales girl told me it was because this design was featured in several magazines before, hence the popularity of it. Well, shouldn’t they bring in more sizes then? I mean, since its oh-so-popular? 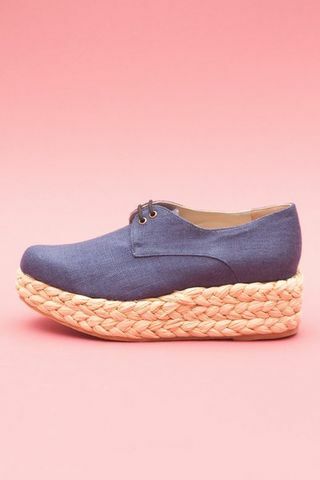 Girls who own this pair out there, consider yourself super lucky you managed to snag a pair! Isn’t that perfect after all huh? In the design department, that is. Looks kinda normal to me, or maybe it’s just the glitter bit that doesn’t impress me at all. Design’s pretty plain, but on the site it says the research spent on this design has been very extensive, so perhaps the comfort level of it is awesome? But this for 325pounds.. do you think it’s worth it? As what Jak & Jil calls it; Knotty. They are still so amazing even though I honestly think I could die walking in these all night! I realise alot of wedges here in Singapore are either peep toes, or strappy ones, with buckles, etc etc. How’s this for something new? Cute huh? Thought it was interesting! Looks real comfy too, height of wedge ain’t too high either. Check out this post on Style Bubble to see more! 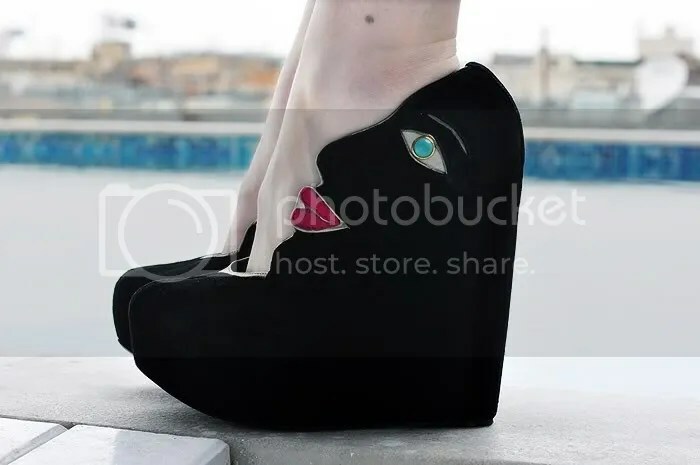 Short follow up from my last post on Miu Miu’s platform printed chunks – I swear I see them everywhere on fashion blogs. 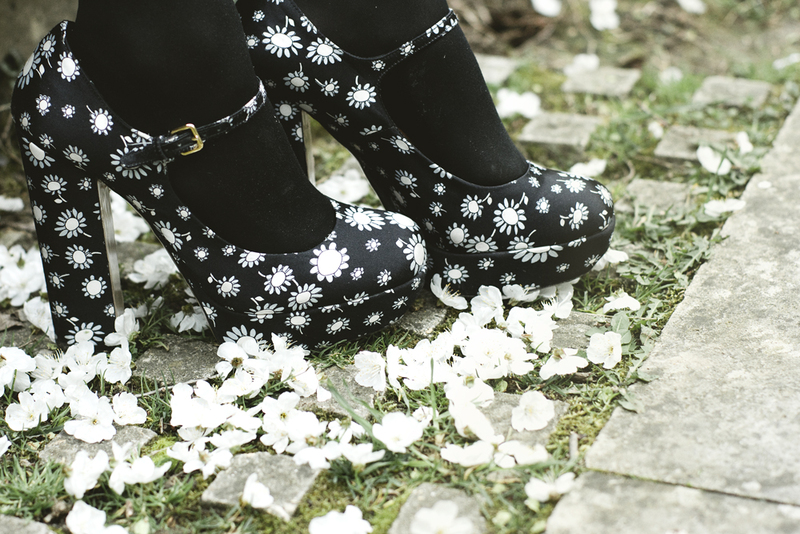 Find these lovelies (in cat prints too!) here, here, and here. Really wished I had my own pair!